H&H Lawn & Landscape provides professional lawn care maintenance and yard fertilization programs for Omaha, NE and surrounding communities. We will customize a lawn care program to suit your needs using only the best landscaping products and landscaping supplies. 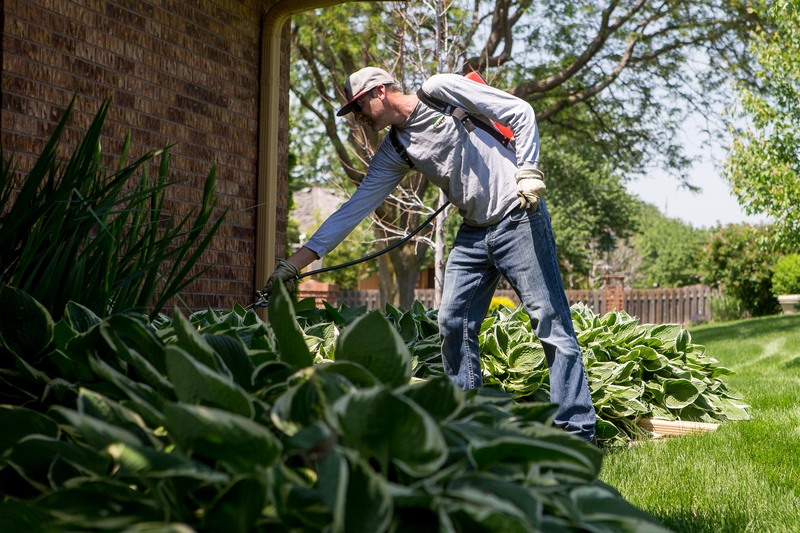 It can range anywhere from weekly trimming and mowing to a complete grounds maintenance program for your Omaha property. Our Omaha lawn care services will provide you with a peace of mind that allows you to unwind in the comfort of your Omaha residential yard, knowing that you’ve created a safe and healthy environment for entertaining your neighbors, playing catch with your kids or letting your pets romp carefree through the grass. 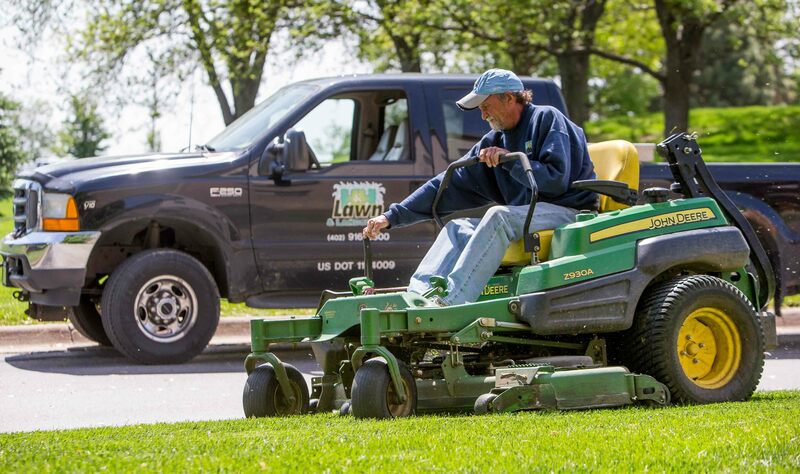 Our Omaha professional lawn care services also result in increased property values, a must in today’s economy. We will also help to stay within your budget while providing you with an impeccable end result. 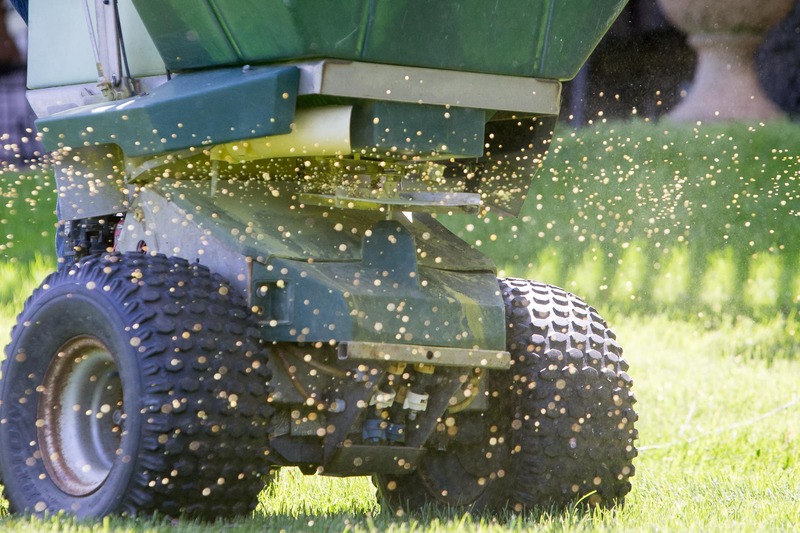 March/April: Apply a heavy rate of granular pre-emergent fertilizer to help jump start lawn and control crabgrass and foxtail. Broad leaf weed control if needed. May/June: A second application of slow release granular pre-emergent fertilizer to ensure a good barrier against crabgrass and foxtail. Broad leaf weed control if needed. September: Apply granular fertilizer high in phosphorous and potash for strong root development. Apply broadleaf weed control if needed. October/November: Apply fall/winterizing fertilizer for strong root development. Food storage for winter and early spring green-up. November/February: New/Existing customers sign up and prepay for next years 6 Step Premium Lawn Care Program before February 28th and receive up to a 5% discount. Our 6 Step Premium Lawn Care Program is a program of fertilizer application proven to protect, enhance, and help your lawn thrive throughout the seasons. After each application, an information sheet will be left at your door explaining the application and what you can do to promote the best results. A flag will be left in your yard to give notice of the application. H&H Lawn & Landscape provides our 6 Step Program to the Omaha Metro and Gretna communities. H&H Lawn and Landscape offers a Organic Fertilization Program that is 100% safe for Children, Pets, Wildlife and the environment. Please call to discuss and determine your needs and concerns. 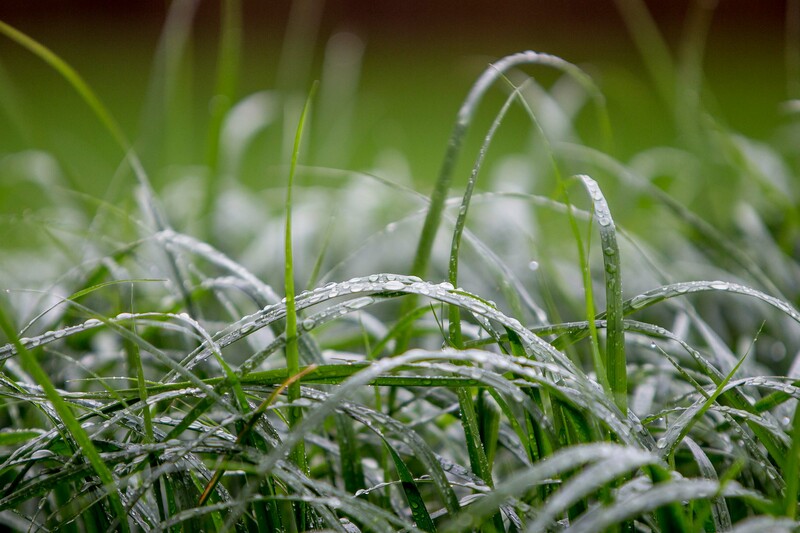 Call us at (402) 916-9500 to schedule an appointment for a free Omaha lawn care consultation.